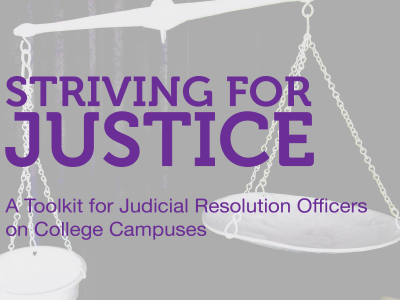 The purpose of this section is to provide an overview of the scope of the problem of dating and domestic violence on college campuses, as well as barriers that may exist for students in accessing resources. It is designed to dispel myths and provide information about the prevalence of these issues so that panelists will be as informed as possible about the reality of these offenses. 21% of college students report having experienced dating violence by a current partner. 32% experienced dating violence by a pervious partner. Among college students who were sexually assaulted, 35% of attempted rapes occurred on dates, 22% of threatened rapes occurred on dates, and 12% of completed rapes occurred on dates. Over 13% of college women report they have been stalked. Of these, 42% were stalked by a boyfriend or ex-boyfriend. Nearly one third of college students report having physically assaulted a dating partner in the previous 12 months (Break the Cycle, Inc., 2005). As many as one quarter of female students experience sexual assault over the course of their college career (Break the Cycle, Inc., 2005). Approximately 90% of victims of sexual assault on college campuses know their attacker (Break the Cycle, Inc., 2005). Sometimes college students feel trapped by the social networks and/or the closed environment of many campuses. They may have a small or limited social network due to the college campus atmosphere. Administrators may not understand the scope of the problem and not reacting appropriately (i.e. if professors and/or teachers are notified about a domestic violent relationship between two students). Students may fear their parents finding out and taking the student out of school. Some students cannot afford supportive services. Some students may not define their experience as abusive. Many students may fear the assailant. Often times, due to a somewhat isolated atmosphere of a college campus, it is easier for an assailant to stalk his or her partner. Social networking sites provide easy access for perpetrators to control their partners.